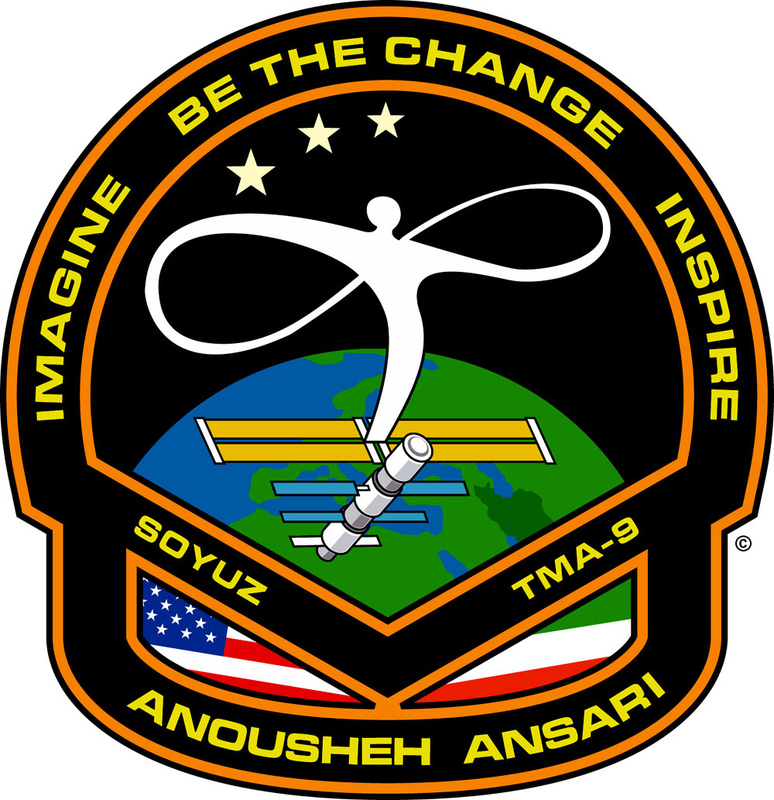 Just after 1am PT, the hatch between the Soyuz TMA-9 and ISS was opened and a very happy, still smiling Anousheh Ansari floated aboard wearing her Ansari X PRIZE hat! (Thanks for the show of support Anousheh!). I’m hopeful that she’ll soon be ready to log on and share some of her personal thoughts and feelings from orbit. Two SS1 mission patches which had previous flown about the two winning Ansari X PRIZE sub-orbital flights. And a number of first day covers (for you stamp collectors) that were flown on SS1 and canceled in Mojave on October 4th. Congratulations Anousheh, you made it! We’re looking forward to hearing from you! Congratulations. Have fun. Thank you for leading the way. May God bless you and your family. we are all happy. we are waiting to see her on the tv. i love to read her feelings posted here about the exprience of living on the space. by following her trip, we feel that we are on the space station with anousheh. i heard lots of comments about her, but the most common one was “i can” which was said by iranian women around me. i don’t know how and why, but you brought hope to our heart. you can’t imagine how happy we are we are proud of you .You are in out thoughts forever and every time I look at the sky I see you there . I love to hear about that wonderful experience. Hello Peter! What a PR boost for the X PRIZE! It is a good example of NASA and private industry working together. The X PRIZE Cup sounds like more of the same. khosh begzare , man fekr mikonam age gharar bashe chenin mosaferaty beram ,, delam mikhad 3 mah oon bala bemoonam , 1 hafte kheiiiiiiiiiiiiilllllliiiiiiii kame . I missed the docking because of an Internet drop-out, laid down for a couple hours, then watched the hatch opening. افتخار می کنم که با چنین کسی هم وطن هستم و افتخار می کنم که شما دارین از میهنمون دفاع می کنید. I am honoured to have such a person as a compatriot and I am honoured that you are defending the honour and integrity of the Iranian nation. As a fellow Iranian I am very happy and I know this as an honour. This achievement of yours is an achievement of all of us and an achievement of the Iranian motherland. We are all thinking of you and praying for you. God bless, God strength, and Godspeed. Hi dear anoushe , I’m so proud of you as a Iranian and I’m sure that you are a good example for all women specially Iranian women that they are talented althogh that they are in the prison of Iranian regime but people like you can give them self confidence. Words cannot describe the joy we feel at this moment. While the world is watching you we have no doubt that this is just the begininng of many more amazing achievements to come; both for you personally and for you as a true epitome of an Iranian American woman. Je suis tellement content que vous et d’autres musulmans aient atteint ce niveau de développement des compétences. D’ailleurs nous les musulmans nous sommes très attachés au ciel et seul le ciel dans ses larges dimensions peut satisfaire les aspirations spirituelles d’un musulman. Et c’est votre petit pas au ciel- grand sur terre- qui ouvrira la voie à l’accomplissement de ses aspirations. Nul doute que les capacités intellectuelles dont vous jouissez et les performantes aptitudes à l’apprentissage continu dont vous disposez vous aideront à aller de l’avant et à s’ériger en exemple pour les présentes et futures générations.Je vous souhaite bon séjour à bord de l’ISS, et bon retour sur terre.Merci bon courage et bonne chance Anouseh ANSARI. I am so content that you and other Moslems reached this level of development of competences. Moreover us them Moslem us let us be very attached to the sky and only the sky in its broad dimensions can satisfy the spiritual aspirations of a Moslem. And it is your small step with the large sky on ground which will open the way with the achievement of its aspirations. There is no doubt that the intellectual abilities of which you enjoy and powerful aptitudes for the continuous training you have will help to go from before and to set up in example for the present ones and future generations. I wish you good stay on board ISS, and good return on ground. Thank you good courage and good luck Anouseh ANSARI. LACHABI Rachid (Aménagiste and town planner and agricultural engineer the main thing/Agriculture/DRH/SGP-CT/Rabat/Ministry Morocco).